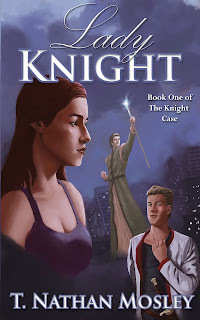 Detective Cameron Knight does not believe in magic. It’s kind of hard to when you’re a single(-ish) mother in a high stress job that pulls you from bed at all hours of the night. One of these nights, though, Cameron encounters a magician. Not one of those guys who pulls rabbits out of hats, but a real, true magician. Of course she doesn’t believe it. 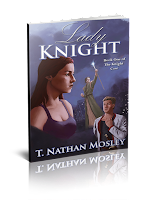 Until Mathias reveals to her a world that is full of magic, Knights, kings, and more. 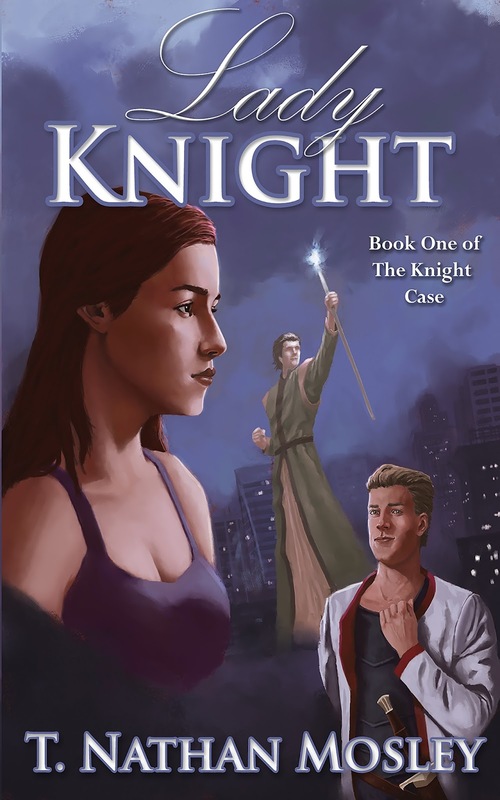 Following the writings of one of the most powerful magicians to have ever lived, Mathias escaped to Earth, running from Knight Captain Emil Rouland. Emil has been tasked with bringing Mathias before the King of Draeca to face the King’s justice. But Marek, a magician and enemy of Mathias, has other ideas. He sees this as his big break to finally exact his revenge on Mathias and become the hero he’s always wanted to be. Little do they all know, however, the cost of traveling between Earth and Draeca has a terrible cost. I first had an interest in writing when I read Cat’s Cradle by Kurt Vonnegut. The characters and world he created fascinated me, and ever since I’ve been writing and creating my own worlds and characters. Moving into being published just kind-of happened one day. 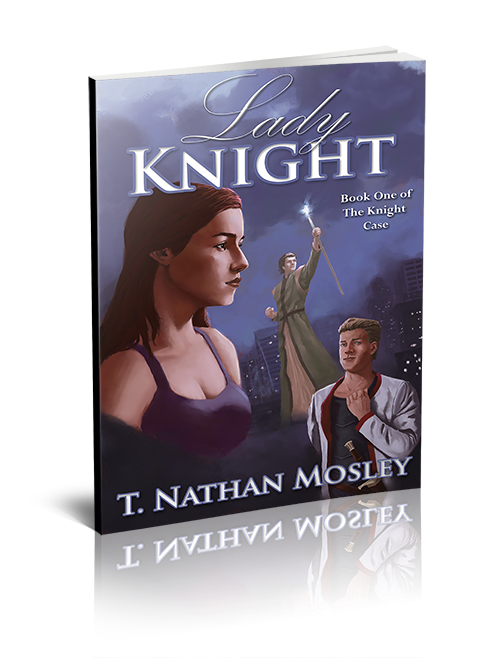 I had finished Lady Knight, realized it was done, then realized what that meant. Even my parents were surprised when I first announced that my book was available. It wasn’t so much a decision as realizing it was the next step that I needed to take. I write to entertain. Readers should have a good time reading my works, and they should come away feeling satisfied that the story they just read was uplifting and enjoyable. I believe strongly that every book should have someone to root for. The act of writing itself is rewarding. Being able to look back and say, “I did that. Wow. That was me.” Is an extremely satisfying feeling. I always struggle with the middle parts of every story. Bridging the gap between Act 1 and Act 3 in a story is extremely difficult, as Act 1 and Act 3 are where all the interesting things happen. Finding a way to bring those two together in Act 2 is a huge challenge for me. Do your homework! I know a lot of people might say “don’t give up” or “just keep writing”, but that doesn’t always work. Understanding every step of the process from going to an outline to hitting the “publish” button is vital. I missed several of the steps when I first started, so it’s not all bad if you don’t understand everything 100%, but once you realize you’ve missed a step, it’s crucial that you complete it when you can. Additionally, there are several things you can get started even if you haven’t finished writing your story. Find a cover artist, find potential publishing venues, have a compendium of literary agents you can contact, find an editor and beta readers, research book tours and promotional materials. Having a finished story ready for publishing isn’t the end of the tale. Once your story is finished, it becomes a living thing with tons of moving parts. Having them all work together is key to success. Any way you can think of, I probably have it. 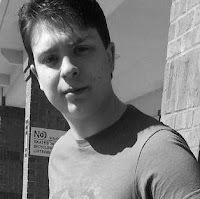 Facebook, Goodreads, Twitter, and I have a blog which I try my best to update weekly. I can also be reached directly via e-mail at contact@tnmosleybooks.com, if you like good old fashioned e-mail. someone – a man. He’s… not quite right, and he’s got this weird costume on. cigarette from her mouth, sighing. It would have to wait. where is he?” Kim said. The man said, and the paramedic looked to the detectives with a shrug. head. “He’s all yours.” She said. of Draeca, and…” Mathias frowned, “Well, that is who I used to be. finished with a wink at Kim. staff…” He said, his tone turning thoughtful as he spoke. give us a moment?” Cameron asked. course,” Mathias said, bowing his head towards them again. the pavement with her shoe. “Okay. What the hell.” She said. have a mark on him, Kim. No dust, no ash, nothing,” Cameron pointed out. eyes and his hands clasped behind his back.